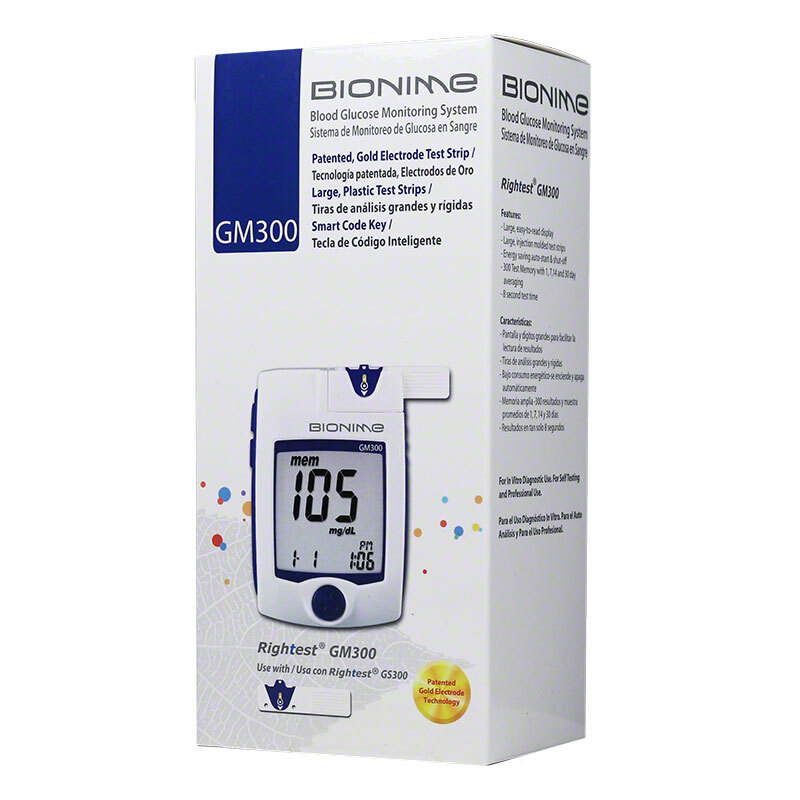 The Bionime Rightest GM300 Meter provides accurate, reliable testing of patients’ blood glucose levels at home or in professional settings, with some of the lowest CV’s of any meter available today, users can trust the accuracy of their results and rely on the data provided by the Rightest™ GM 300 to make critical diabetes management decisions. 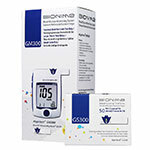 It features a large display, 1.4 microliter sample size, 8 second results, 300 test memory, and alternative site testing. 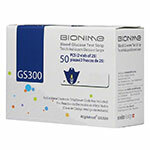 The Bionime Rightest GM300 Meter provides accurate, reliable testing of patients’ blood glucose levels at home or in professional settings, with some of the lowest CV’s of any meter available today, users can trust the accuracy of their results and rely on the data provided by the Rightest™ GM 300 to make critical diabetes management decisions. 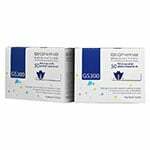 With 7, 14, 30 day averaging users will know with a simple push of a button if their glucose levels are out of their normal range. 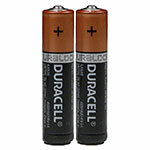 The large LCD screen is easy to read and the ergonomic designs makes a testing a breeze. Noble Metal Electrode Strip performs with high precision and accuracy! Alternation site testing - Test from multiple locations with less pain!